I just love the new stamps and matching framelits. In particular Snow Place and the Snow Friends framelits are so cute! 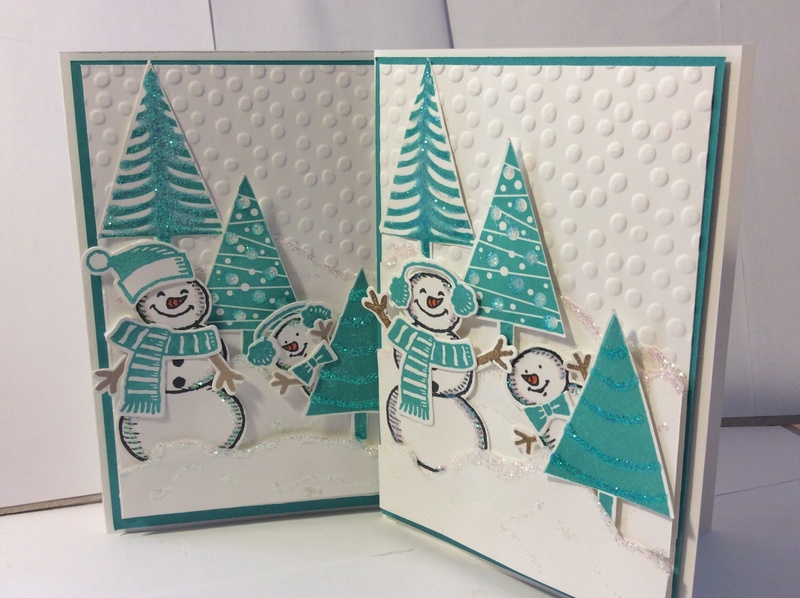 Stamps: Snow Place and matching Snow Friends Framelits. Dotty Embossing Folder. Festival of Trees stamp and Matching Tree Punch. Embellishments: Dazzling Details. I can’t decide which I like the best, ear muffs or Santa hat. 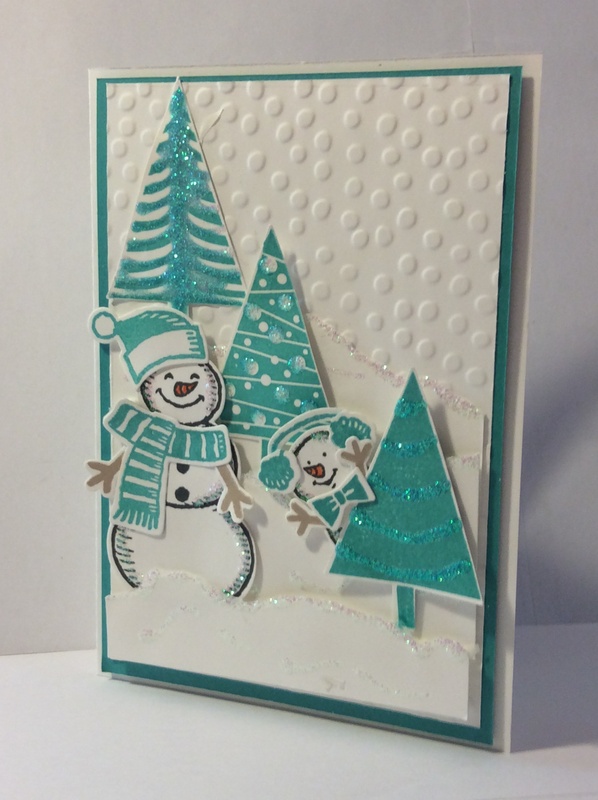 This entry was posted in Christmas, Mum's Posts, Stampin' Up! 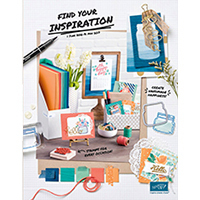 and tagged Bermuda Bay, Dazzling Details, Dotty Embossing Folder, Festival of Trees, Snow friends, Snow Place, Stampin' Up!, tree Punch. Bookmark the permalink. I saw this card on Pinterest and just had to take a closer look. So-o-o cute! 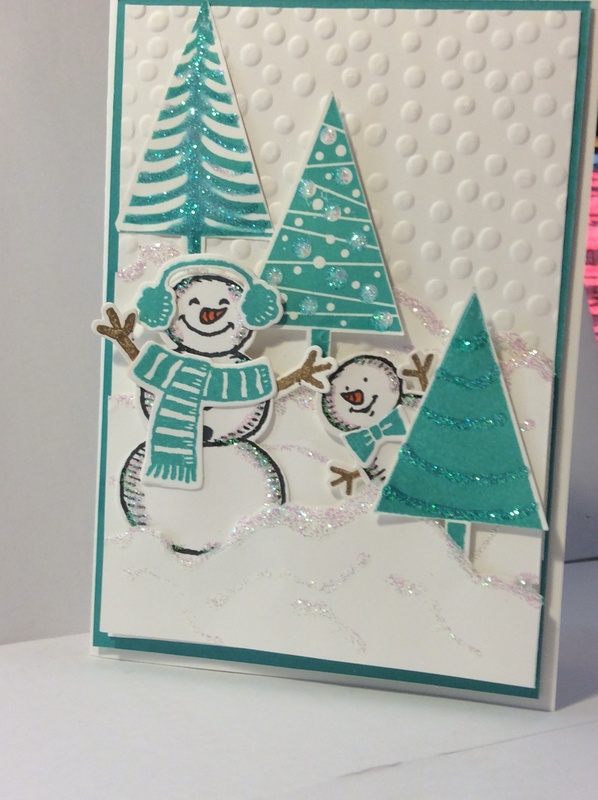 Love everything about this winter card! Well done!